Welcome to all mask making enthusiasts. 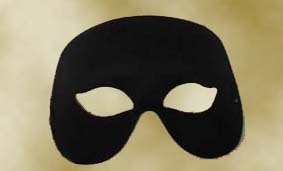 Here, you will find a variety of mask styles for wearing and decorating. 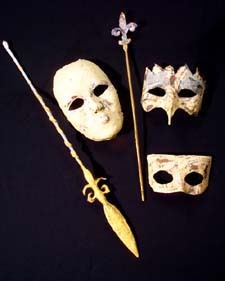 There are examples of plain and decorated masks to include plastic forms. 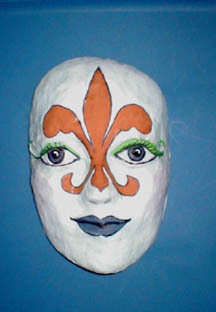 The resulting papier maché masks and forms are handmade by me in different varieties. Forms and blanks are available with no minimum purchases. Discounts are available for quantity purchases of one dozen or more. Inquiries are welcomed for plume and feather purchases. All inquiries, to include international ones are always welcomed, though I am fluent only in English and Spanish. Mask forms are a lightweight and flexible acrylic-like shell. They sustain the weight of papier mache and/or decorations. 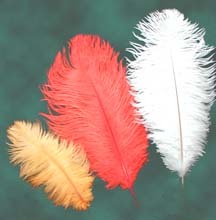 Plumage varies in size and colors upon availability. Please note additional styles below. Pheasant $3.00 (S) - $6.00 (L). MACHÉ BLANKS & STEMS ($2.50 - $15.00) - Paint or enhance them. Imperfect texture as in strip maché. Galleria Rozani - Rozani's gallery for viewing papier maché and decorated masks. THEATRECRAFTS - Resources for technical theatrical needs. Please check out their listings for other related costuming and stage supplies. 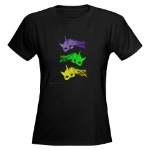 PLACE AN ORDER - I accept PayPal as well as Cashier's Checks & Money Orders. Inquiries are welcomed. Discounts for quantities of one dozen or more of each item. Just e-mail me for totals, shipping terms and mailing address. Thank you. Copyright 2016-2020 Rozani Designs. All rights reserved. No reproduction of this contents may be reproduced without the express permission of Rozani Navas-Smith d/b/a Rozani Designs.